Rabat-Morocco’s authorities have thwarted a “dangerous” terrorist plot similar to the May 16 events that Casablanca witnessed in 2003. The Interior Ministry announced on Friday the arrest of a Chadian national affiliated with ISIS and unraveled a “dangerous” plot to attack Western diplomatic buildings and tourist sites. The Chadian was arrested in a safe house in the northern city of Tangiers. The Interior Ministry statement did not identify him. It said the suspect flew to Morocco from Chad on May 4, landing at the Casablanca airport. It said he had a mandate from ISIS to organize a terror cell comprised of Moroccans and Algerians to attack Western diplomatic buildings and tourist sites. 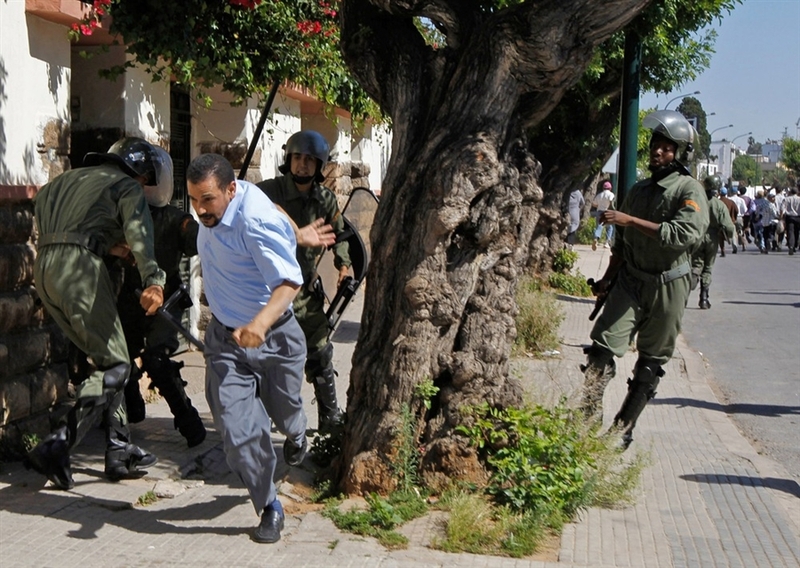 It compared the scope of the threat to the simultaneous bombings in Casablanca on May 16, 2003, that killed 33 people. The statement said this preemptive operation comes amid a rise in terrorist threats by ISIS to create emirates similar to its cells in Libya. Such operations have allowed the authorities to thwart many terrorist plots to attack several locations whether inside or outside the Kingdom, it added.